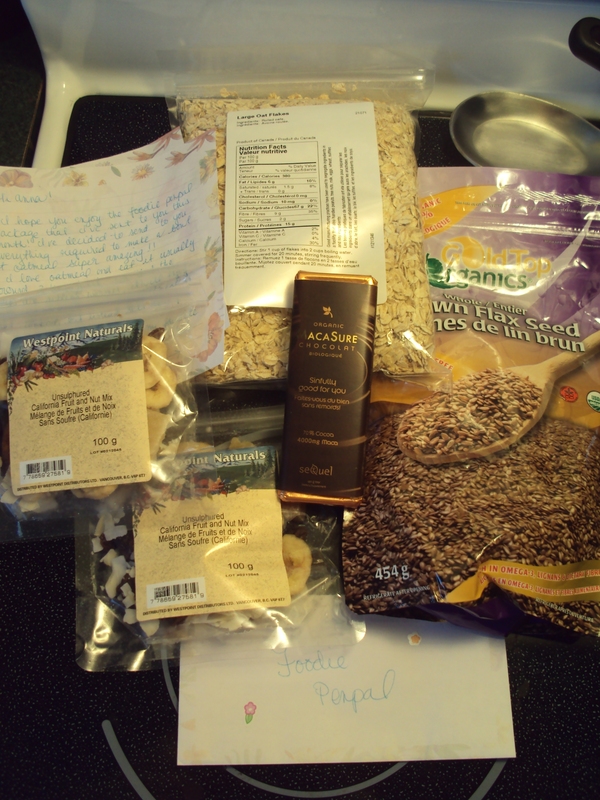 Last day of the month means an April Foodie Penpal post! Miranda at Miranda’s Munchies had me for as her April Foodie Penpal. She managed to put together a great package while preparing to move from Alberta to Ontario! Hope the move went well! This is what she sent me: Miranda’s Oatmeal Recipe (delish, by the way). Directions: Combined the first 4 ingredients in a pot and cook for 10 minutes. Then serve with the toppings! This month I had Sharana at Living the Sweet Life – check out her blog, especially if you love to bake! You can see also see what I sent her this month! 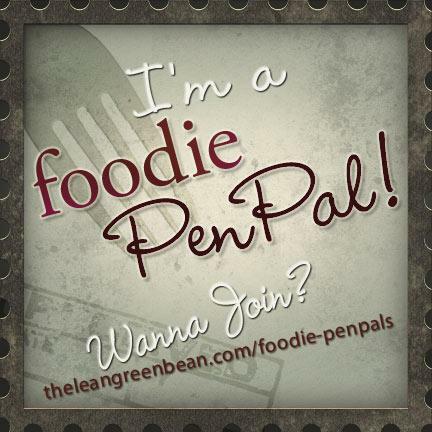 Are you interested in participating in Foodie Penpals – check out the details below for May! i’m kind of obsessed with dried bananas! This sounds excellent! I love the short cooking time! It sounds wonderful! I am always looking for new ways to prepare oatmeal for me. My kids like it with just some brown sugar but I like some variety! What a great idea! Looks like lots of fun. This sounds like fun! I might have to join sometime. 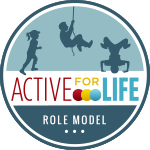 You should join! It’s great. 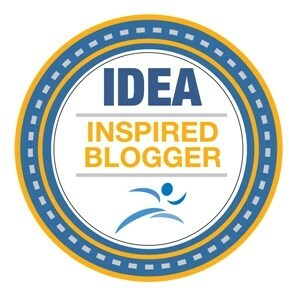 Not only do you get to send a package, receive a package but you get to check out a whole lotta blogs too! This is such a cool idea, I love it!! I love the pen pal idea. I’m going to join in a couple months when things slow down!